In The Public an unusually bitter Cincinnati winter has chilled the entire city. At odds with library officials over how to handle the extreme weather event, some homeless patrons turn the building into a shelter for the night by staging a sit in. What begins as an act of civil disobedience becomes a stand-off with police and the media. 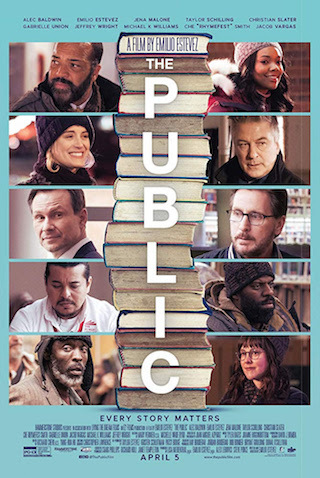 This David versus Goliath story tackles the challenging issues of homelessness and mental illness, setting the drama inside one of the last bastions of democracy-in-action: your public library.